This is a One Pint or 16 floz bottle of Stan's No Tubes Tire Sealant for tubeless tire setups. 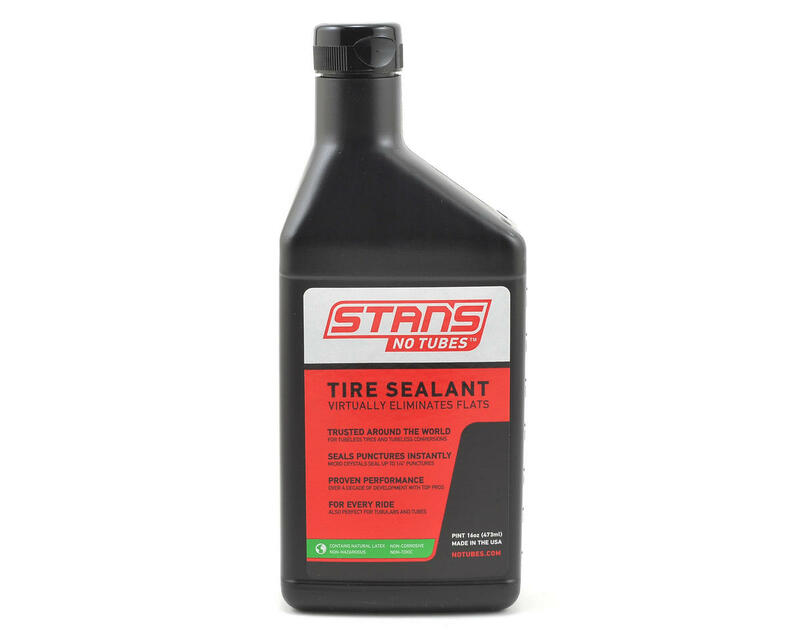 Just two ounces of Stan's Tire Sealant in a converted standard tire or a tubeless tire can repair up to a 1/4" hole instantly. One quart will convert up to 16 tires. Use only 2 ounces for most bicycle tires. Stan’s Tire Sealant will stay liquid in a mountain bike tire with a thin casing for two to seven months on average. Riding in arid climates or storing the bike in a hot area will require more frequent monitoring of sealant levels. Special anti-freeze agents allow the sealant to be used in environments as cold as -30° F. The number one rated tire sealant on the market!